Student Body Deputy Treasurer is officially the top aide to the Student Body Treasurer. The Deputy Treasurer is responsible for ensuring that organizations that are funded through A&S fees are well aware of the purchasing processes as well as budgeting. 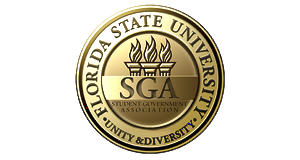 The Deputy Treasurer also serves to inform other RSOs about funding opportunities from SGA. Savannah is a senior majoring in political science and international affairs with minors in economics and emergency homeland management and security. She is from Naples, Florida. She co-founded the United Nations Association at FSU and serves on the executive board for the Honors Student Association. Savannah has been a part of Global Scholars and is currently a member of Garnet and Gold Key and Chi Omega Sorority. Savannah likes to read, cook, and spend time outdoors in her free time.